The College of Agriculture, Food and Natural Resources honored outstanding faculty, staff, students, alumni and friends of CAFNR at its annual Celebration of Excellence awards ceremony Thursday, April 5. Awards were given for teaching, research, advising, extension and volunteering and to outstanding staff, students, student organizations and alumni. The evening culminated with the presentation of the Frederick B. Mumford Awards – CAFNR’s highest honor – given to an outstanding faculty member, staff member and for outstanding service to the College by an alumni or friend. Mumford was the fifth dean of the College and served in the position for 27 years. Abigail Bertz was named Outstanding Freshman. She is majoring in agribusiness management and has been extremely active during her first year as a Mizzou student, including being part of the Agribusiness Club, Mizzou Collegiate Farm Bureau and the Alpha Delta Pi sorority. 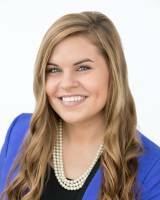 She is also the Missouri FFA president, and, as president, has devoted the past year to working with and serving agriculture education students. She has presented at more than 35 workshops during that time. Katie St. Pierre was honored as Outstanding Sophomore. She is majoring in agribusiness management and has served as an alumni relations intern with the CAFNR Alumni Association, assisting in the coordination, management and promotion of a variety of activities, including large fundraising events. She is treasurer of Sigma Alpha professional sorority, co-director of the CAFNR Ambassadors, part of the CAFNR Steering Week Committee, and alumni relations chair for CAFNR True Tigers. She has studied abroad at the University of Bologna, at a program examining food insecurity, and was a site leader for Mizzou Alternative Breaks in fall 2017. MiKayla Engemann was named Outstanding Junior. She is majoring in plant sciences and prides herself in being an active part of the College of Agriculture, Food and Natural Resources. She is a member of Mizzou Collegiate Cattlewomen, the Mizzou Agronomy Club and is part of the CAFNR Week Steering Committee. She has helped those clubs in various ways, including serving as a reporter, social media chair and treasurer, as well as helping with philanthropy. As part of the Mizzou Collegiate Cattlewoman’s club, Engemann has helped with the planning and execution of the annual Meet Your Meat event, where the club shares information about the beef industry. Jaime Luke was honored as Outstanding Senior. 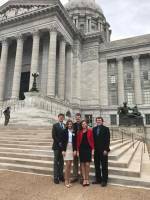 She is an agricultural economics major and has interned for the Missouri Pork Association, the American Farm Bureau Federation (AFBF) in Washington, D.C., and the Missouri Corn Growers Association. During her time with AFBF, her economic research was published in Sugar Producer, Market Intel and Agri-Pulse newsletter. She has worked as a career services intern and Summer Welcome peer counselor in CAFNR, and as a teaching assistant in the Division of Plant Sciences. Luke has served as the philanthropy chair and secretary for Sigma Alpha professional sorority, is a CAFNR Ambassador, and is on the National Student Advisory Team for Agriculture Future of America, through which she helped plan a national conference. Luke has received the Sigma Alpha Pillar Award for her service. Mizzou Collegiate Farm Bureau was recognized as Outstanding Student Club. The group aims to unite students in educating campus and the community about agricultural issues and their political implications. The organization is celebrating 31 years on campus and is the oldest chapter in the country. To develop awareness, CFB hosted several events throughout the year, including the Farm Forum event, “Broadband: Urban to Rural”; and “Growing Missouri: Ag Policy in the Show-Me State,” a forum co-hosted with other organizations. The Farm Forum featured panelists speaking on broadband accessibility. The event was broadcast on Facebook Live and had more than 200 views, in addition to those in attendance. The Ag Policy event included leading influencers in the agricultural sector. JD Manning, Clinton, Mo., was honored as the CAFNR Alumni Association Past President. 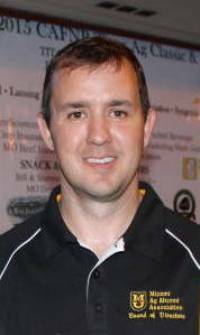 Manning graduated from CAFNR in 2000 with a bachelor’s degree in animal sciences. He is an Edward Jones financial advisor. 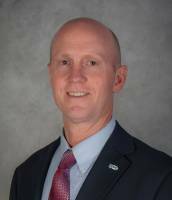 He previously served as regional manager for Ziegler Caterpillar in Missouri, general manager of the ag division of Dean Machinery, and location vice president of Heritage Tractor, Inc. He has served as president of the Clinton Chamber of Commerce and as a board member with the Clinton Rotary Club. Alois (Al) F. Kertz, St. Louis, Mo., was honored with the CAFNR Alumni Association Citation of Merit award. 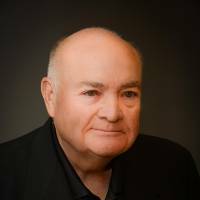 He received his bachelor’s degree in dairy husbandry from Mizzou in 1967 and earned his master’s in dairy cattle nutrition in 1968. Kertz’s career has included work in nutrition, feeding and management of dairy cattle, and taken him to several companies, including the Ralston Purina Company, Purina Mills, and Agribrands International. Kertz founded his consulting business, ANDHIL LLC, in 2001. He advises private companies, agencies, research institutions and dairy organizations in nutrition, feeding and management of dairy cattle. Dana Brown Haynes, Wentzville, Mo., was named the CAFNR Alumni Association’s Alumnus of the Year. Brown Haynes received a bachelor’s degree in agricultural journalism from CAFNR in 1985. In 1988, she joined the College of Agriculture, Food and Natural Resources as director of alumni and career services. 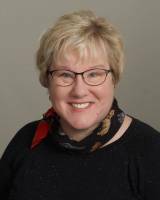 She retired as director of alumni relations in December 2017. Over the years, she provided career and scholastic counseling services to more than 2,000 CAFNR students; served as advisor to a variety of CAFNR and University student organizations; chaperoned leadership programs such as the John Brown Scholars and Dickinson Scholars; and assisted with homecoming steering committee activities. Although there is no such official title, Brown Haynes served as the executive director of the CAFNR Alumni Association, organizing the efforts of the 33-member volunteer board of directors and coordinating and managing alumni functions such as the Tiger Ag Classic Golf Tournament and Steak Fry, the Ag Unlimited Banquet and Auctions and the Ag 100 Endowment. Chris Chinn, Clarence Mo., Missouri Director of Agriculture, was named an Honorary Member of the CAFNR Alumni Association. A fifth-generation farmer from northeast Missouri, Chinn has always had a passion for agriculture – and deep ties to the University of Missouri, including serving on her county Extension Council, joining search committees, participating in panel discussions and working closely with faculty, staff and administrators. She was named Missouri Director of Agriculture in January 2017 after holding numerous leadership positions at local, state and national levels. She has built an incredible social media platform, through her blog and Twitter account, which allows her to connect with and be an advocate for farmers, ranchers and rural communities. Ernie Verslues, Rocheport, Mo., President and CEO of MFA, Inc., also was given Honorary Membership into the CAFNR Alumni Association. 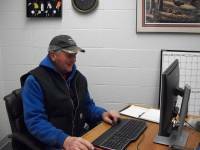 Verslues has dedicated himself to supporting Missouri farmers during his 30-year career with MFA, Inc. He has made partnering with CAFNR a priority. Verslues has been instrumental in sustaining the MFA Ag Experience, a successful internship program that has supported many CAFNR undergraduates. He is a graduate of CAFNR’s Graduate Institute of Cooperative Leadership (GICL) and now serves on its board of trustees, has visited CAFNR as Professor-for-a-Day, and serves on the board of trustees of the CAFNR Foundation. In 2016, Verslues, along with MFA Oil CEO and President Mark Fenner, announced an MFA Foundation gift to MU, creating the MFA Agribusiness Professorship. Leroy Van Dyke, Smithton, Mo., received the True Tiger Volunteer Award. An internationally known country music star, Van Dyke earned a Bachelor of Science degree in Agriculture from the University of Missouri, focusing on animal husbandry and journalism, with a minor in speech. Van Dyke was a member of the junior and senior livestock judging teams during his time at Mizzou. He served as a special agent in the U.S. Army Counter-Intelligence Corps in Korea before working as a journalist upon his return. His jump into the world of show business came with his self-penned song “Auctioneer,” which combined his singing ability with his auctioneering skills. Van Dyke has recorded more than 500 songs and continues to perform throughout the United States. 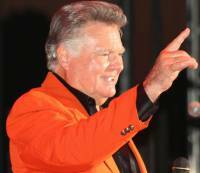 A member of country music and auctioneering halls of fame, Van Dyke continues to entertain his fans across the nation. Randy Miles was given the Dana Brown Haynes Distinguished Service Award from the CAFNR Alumni Association. Miles is an associate professor emeritus of soil science in CAFNR; he joined the college in 1983 and finished his career at MU as director of the Soil Health Assessment Center. 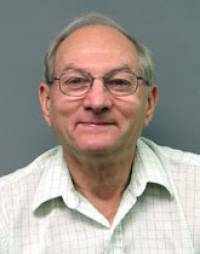 He taught Introduction to Soil Science and Genesis of Soil Landscapes and Pedology, and was the coach for the Mizzou Soil Judging Team for 32 years, as well as faculty advisor to the Agronomy Club and the School of Natural Resources Student Council. He served as director of historical Sanborn Field, the third-oldest continuous research field in the world, and as curator of the historical Duley-Miller soil erosion plots. Steve Stamate, Farm Manager, Southwest Research Center, received the Outstanding Staff Award. Stamate brings a positive, hard-working attitude to the Southwest Research Center, located in Mt. Vernon, Mo., each day. As the farm manager at the Research Center, Stamate works with a variety of individuals who visit the Center. The Southwest Research Center features a wide variety of research, applicable to producers across the southern portion of Missouri. He shares his experience and knowledge with researchers, veterinarians, employees and visitors at the Center. Stamate goes above and beyond at the Southwest Research Center, staying after hours if need be, to finish projects and help those who need it. Ben Knapp was honored with the Outstanding Teacher, Early Career award. Knapp has served as an assistant professor in the School of Natural Resources since 2012 and was named the superintendent of the Baskett Wildlife Research and Education Center, in Ashland, in 2015. He has published 21 peer-reviewed journal articles and received $1.3 million in grant funding. 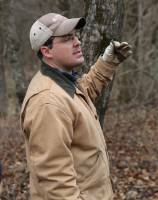 Knapp also serves as the faculty advisor for the MU Forestry Club. Knapp’s courses focus on several natural resource topics, including silviculture, forest fire control and use, and forestry. He integrates his teaching and research efforts in numerous ways, including hands-on activities at Baskett, such as a prescribed fire program and maple syrup production. Knapp creates a classroom environment where students can grow personally and intellectually. He encourages his students to develop independent critical thinking skills, as well as the confidence and experience to apply that knowledge to situations. Harvey S. James, Jr., was named Outstanding Teacher, Senior. James, who joined CAFNR in 2001, teaches courses in microeconomics and agricultural ethics for undergraduates, and research methodology for graduate students. James’ research focuses on applied ethics and the economic foundations of trust and ethical behavior. He is editor-in-chief of the journal Agriculture and Human Values and a member of the editorial board at Business Ethics Quarterly. He also received the CAFNR Golden Apple Award this spring for going above and beyond in teaching and advising. John Tummons, assistant teaching professor and director of undergraduate studies, agricultural education and leadership, was named Outstanding Advisor for Undergraduate Advising. Tummons has all three of his degrees in agricultural education from CAFNR, and officially joined Mizzou in 2008 as a professional development specialist, Missouri Agricultural Education, in the Department of Elementary and Secondary Education. He also was previously a high school agriculture teacher. Tummons has advised the Ag Ed Society, Collegiate FFA and CAFNR Week. He chairs the Undergraduate Recruitment Committee in CAFNR. He advises 35 undergraduate students in the agricultural education and leadership program – nearly half of the program’s undergrad students and nearly all of the teaching certification emphasis area students. Tummons consistently receives higher marks from his advisees than the department and college averages. 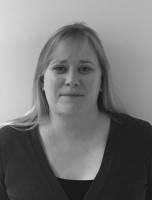 Laura McCann, professor, agricultural and applied economics, was honored as the Outstanding Advisor for Graduate Advising. McCann has been a faculty member at the University of Missouri since 2001. During her time at Mizzou, she has advised five M.S. students and four Ph.D. students, as well as one M.S. non-thesis student. She is currently working with two Ph.D. students. McCann has served on 24 M.S. and Ph.D. committees. Jared Decker received the J.W. Burch State Specialist, Agriculture and Natural Resources Extension Award. Decker has been an assistant professor in the Division of Animal Sciences and a state beef genetics MU Extension specialist since 2013, after earning his Ph.D. in genetics from MU. Decker has been able to link his extension and research programs to advance the science of beef cattle genetics, as well as take the results of his research and apply it in the field. Decker has published nearly 40 peer-reviewed journal articles and has secured more than $4 million in grants and contracts as the principal investigator or co-principal investigator. His blog, “A Steak in Genomics,” allows him to connect and interact with farmers, ranchers and communities. Hua Qin, assistant professor, Division of Applied Social Sciences, received the Early Investigator Research Award. Qin joined CAFNR in 2014; since that time he has had 19 refereed scholarly articles published or accepted for publication, published three book chapters, presented at a significant number of professional meetings and secured more than $60,000 in internal grants from bodies as diverse as the Mizzou Alumni Association, the Office of Research, Graduate Studies and Economic Development, and the Population, Education and Health Center. His research specializes in environmental/natural resource sociology and demography. In 2017, Qin was awarded a $431,000 grant from the National Science Foundation. He serves on the editorial boards of Society and Natural Resources, and the International Journal of Population Studies. In 2015, he was named to the World Social Science Fellows program led by the International Social Science Council. “A very successful agricultural social scientist can be expected to have a career Google Scholar score of over 2,500 citations. Since 2013 alone, Dr. Qin’s Google Scholar score is approaching 500 citations, putting him on a career trajectory to be deemed highly successful,” said Joe Parcell, director of the Division of Applied Social Sciences. Thomas Spencer, professor of animal sciences, was honored with the Distinguished Researcher Award. Spencer joined the University of Missouri in 2015 as a signature hire. Spencer’s research uses a variety of animal models, including sheep, cattle, pigs and mice, to study the fundamental aspects of development and function of the uterus and placenta. The goal of the research is to understand the fundamental biology and genetic processes that are important for pregnancy establishment and success. He has received $19 million in grant support as a principal investigator and co-principal investigator, as his research contributes to not only agriculture, but biological and medical sciences as well. Robert Sharp received the Roger L. Mitchell Fellow award. Robert E. Sharp has been with the University of Missouri since 1986, first serving as an assistant professor in the Department of Horticulture. He has been a professor of agronomy in the Division of Plant Sciences since 1997. Sharp has led Mizzou’s Interdisciplinary Plant Group as its director since 2011. IPG includes faculty, students, postdoctoral fellows and professionals, among others, and encourages interdisciplinary and collaborative research and education through seminars, workshops, symposiums, training programs and partnerships. Sharp has earned numerous awards and honors and has been highly involved during his time at Mizzou, including presenting at professional meetings across the world. He has earned nearly $18 million in grant support, through research, conference support and training grants. He has a long history of advising M.S. and Ph.D. students as well. Teng Lim was honored with the Brady J. Deaton Fellow in International Agriculture award. Lim has been a professor at the University of Missouri since 2009, first serving as an assistant professor, before being named an associate professor of Food Systems and Bioengineering in 2014. Lim has published more than 30 journal articles, and has been part of several peer-reviewed proceedings, extension guides, and symposium or conference proceedings. Lim works with regional livestock specialists, producers and the livestock industry to develop practical management for livestock and poultry manure, as well as environmental quality control. Lim’s focus is on developing and improving manure management and treatment through emission evaluation and modeling, odor control technologies and odor setback distances. David Emerich, professor, associate chair and director of undergraduate studies, biochemistry, was awarded the Frederick B. Mumford Outstanding Faculty Award. Emerich earned his B.A., M.S., and Ph.D. from the University of Wisconsin at Madison. He joined CAFNR in 1981 as a Herman Frasch Foundation Research Fellow, and from there launched a career of excellence. Emerich has received a Kemper Award, Mizzou’s highest teaching honor, and is a fellow of the American Association for the Advancement of Science. He challenges his classes with questions that require critical thinking and reasoning skills, while tirelessly modernizing the curriculum. Supporter after supporter emphasized that Emerich truly cares about his students and about integrity in teaching; he does not delegate away responsibility in the classroom. His mentorship methods have helped teaching assistants to better understand how to defuse angst in both students and the TAs themselves. His support of his peers in Biochemistry is both well-known and appreciated by the division as a whole. Vicki Bryan, coordinator in the Interdisciplinary Plant Group, received the Frederick B. Mumford Outstanding Staff Award. Bryan has been part of CAFNR for six years, and coordinates conferences and symposiums, has helped create a graduate student exchange program in Brazil, and collaborates with offices of governors and foreign dignitaries to ensure projects go off without a hitch. She has served as chair of the CAFNR Staff Advisory Council. Bryan has done all of these things and far more with a confidence and competency that make it all look easy. And while doing all of this, while putting in endless evenings and weekends to ensure that everything runs as a well-oiled machine, she unfailingly shows concern and compassion for all around her; this jet-setting staffer, while juggling a dozen priorities, always manages to find the time to stop and to genuinely ask how you are doing. Jerry Caulder was honored with the Frederick B. Mumford Award for Distinguished Service. Caulder has held leadership positions in a number of successful and highly profiled life science companies. He is often referred to as the “father of agricultural biotechnology.” Caulder earned his B.S. in Biology and Zoology from Southeast Missouri State in 1964, and his Ph.D. in Plant Physiology, Biochemistry and Agronomy from MU in 1969. In the time since, he has been at the forefront of agricultural entrepreneurship and has simultaneously been an active counselor to CAFNR leadership and faculty as an expert in agricultural biotechnology. His support and encouragement has played a significant role in the prominent standing CAFNR now holds among the biotechnology leaders in the U.S. He has founded or co-founded of at least three companies and sits on numerous corporate boards, all with an aim of improving and advancing agricultural biotechnology. His many honors include the prestigious William Henry Hatch Memorial Award, the highest honor given by the National Association of State Universities and Land Grant College, and the only time this honor has been bestowed to someone outside of academe. Learn more about the awards, past honorees and more at cafnr.missouri.edu/coe.